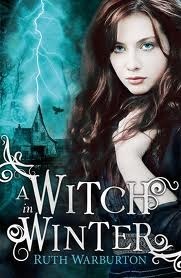 A Witch in Winter by Ruth Warburton - Anna Winterson doesn't know she's a witch and would probably mock you for believing in magic, but after moving to the small town of Winter with her father, she learns more than she ever wanted to about power. When Anna meets Seth, she is smitten, but when she enchants him to love her, she unwittingly amplifies a deadly conflict between two witch clans and splits her own heart in two. She wants to love Seth, to let him love her – but if it is her magic that's controlling his passion, then she is as monstrous as the witch clan who are trying to use her amazing powers for their own gain. I'm really looking forward to this one. I also kind of love that if I enjoy it, I won't have too long to wait for the sequel to be published! 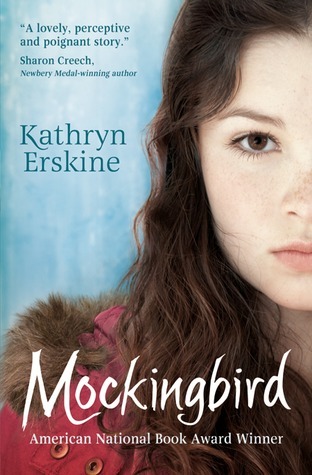 Mockingbird by Kathryn Erskine - 11-year-old Caitlin has Asperger’s syndrome, and has always had her older brother, Devon, to explain the confusing things around her. But when Devon is killed in a tragic school shooting, Caitlin has to try and make sense of the world without him. With her dad spending most of his time crying in the shower, and her life at school becoming increasingly difficult, it doesn’t seem like things will ever get better again. A heart-warming story of loss and recovery that won the American National Book Award 2010 – one of the most moving books you’ll ever read. This book was really picked up on a total whim. Hadn't really heard anything about it before I bought it, but thought it'd be an interesting read! 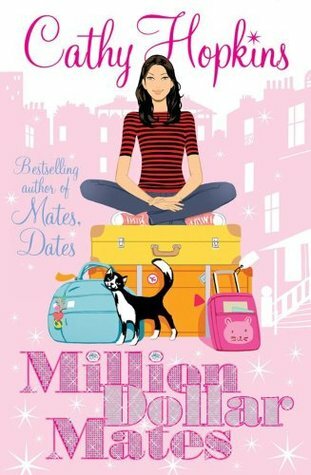 Million Dollar Mates by Cathy Hopkins - Jess Hall's dad is the new general manager at Porchester Park, and is moving Jess, her brother and pet cat into a staff apartment there. Jess is dreading the move, until she learns the apartments are strictly A-list only and soon to be populated by actors, musicians, models and millionaires- But fraternising with the stars isn't all it's cracked up to be, and soon Jess is wishing for a return to real-life - but can she admit to her friends that the gilded cage isn't quite as golden as she'd anticipated? 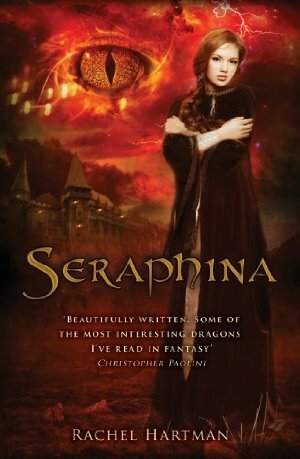 Cathy Hopkins is an author that I'd really like to read, and I never have. So when I saw a boxset of these three books going for £4 I snapped it up! Really looking forward to them too. 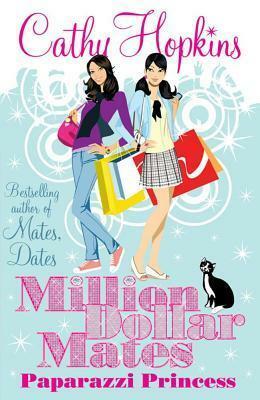 This is the second book in the Million Dollar Mates series! Catwalk Queen by Cathy Hopkins - A pop diva comes to live at Porchester Park and is involved in a modelling competition. Jess is encouraged to enter too. But does she really want to be a catwalk queen? 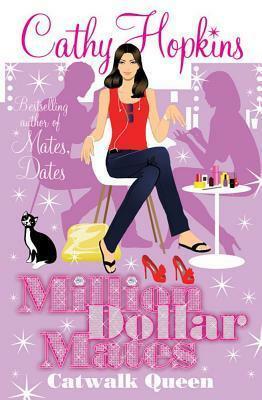 This is the third book in the Million Dollar Mates series! Can you see that I'm stockpiling some books for my British month? Did I not mention that I'm doing another British month at some point in the future? I am. Just maybe not in the next two months as I'm so burnt-out from Love month. But sometime soon. I hope you're looking forward to it! 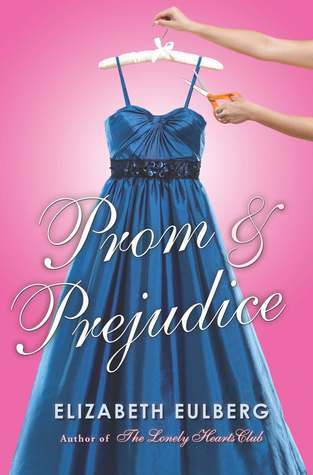 Prom and Prejudice by Elizabeth Eulberg - From the much-buzzed-about author of THE LONELY HEARTS CLUB (already blurbed by Stephenie Meyer, Lauren Myracle, and Jen Calonita), a prom-season delight of Jane Austen proportions.It is a truth universally acknowledged, that a single girl of high standing at Longbourn Academy must be in want of a prom date. After winter break, the girls at the very prestigious Longbourn Academy become obsessed with the prom. Lizzie Bennet, who attends Longbourn on a scholarship, isn't interested in designer dresses and expensive shoes, but her best friend, Jane, might be - especially now that Charles Bingley is back from a semester in London. Lizzie is happy about her friend's burgeoning romance but less than impressed by Charles's friend, Will Darcy, who's snobby and pretentious. Darcy doesn't seem to like Lizzie either, but she assumes it's because her family doesn't have money. Clearly, Will Darcy is a pompous jerk - so why does Lizzie find herself drawn to him anyway? I picked this book up through a swapping website thinking that I would be able to get to it for Love month. That didn't happen, but it still sounds rather cute! Heart-Shaped Bruise by Tanya Byrne - I think of all the things I could have been... a music student, in love, happy. But then Juliet stabbed my father and shattered everything I thought I knew about myself. She turned me into someone else, into this hard, angry, miserable girl who did the most terrible things. Things that make people take a step back when I walk into a room. That's what hurts... that you all think you know who I am. But the one thing Google will never tell you is who I used to be... who I might have become. But I can tell you. So here we go - I'll be me and you be the stranger on the bus. Couldn't find a cover for this one, but I'm loving the sound of it! 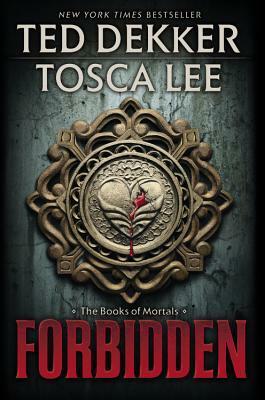 Forbidden by Ted Dekker and Tosca Lee - New York Times bestselling author Ted Dekker teams with Tosca Lee to create this gripping thriller set in a desolate future. I think this is an adult book, that the publisher thinks can be a YA crossover? I'm not entirely sure if this book is for me, but I will certainly give it a try! The Swan Kingdom by Zoe Marriott - When Alexandra’s mother is slain by an unnatural beast, shadows fall on the once-lush kingdom. Too soon the widowed king is entranced by a cunning stranger — and in one chilling moment Alexandra’s beloved brothers disappear, and she is banished to a barren land. Rich in visual detail, sparked by a formidable evil, and sweetened with familial and romantic love, here is the tale of a girl who discovers powerful healing gifts — and the courage to use them to save her ailing kingdom. Hurrah! Now I finally have a full set of all of Zoe Marriott's books. After loving Shadows on the Moon, I knew I wanted to read Zoe's backlist. Now I finally can! Probably starting with this one. Bunheads by Sophie Flack - As a dancer with the Manhattan Ballet Company, nineteen-year-old Hannah Ward is living her childhood dream. She gets to be up on stage in front of adoring crowds every night. And while she might not be a prima ballerina yet, she's moving up the ranks and surely if she works hard enough she can make it happen. Here's a book I've been dying to read! I love the idea of ballet in books. This book will not remain unread for long, that's for sure. 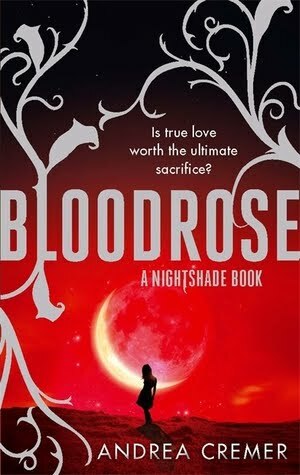 Bloodrose by Andrea Cremer - Is true love worth the ultimate sacrifice? *whispers* I still haven't read Wolfsbane! I know, I know, I really should get on that. And I will, now that I have this book in my possession. Dragons! This book is about dragons! Awesome. I hope it's brilliant. 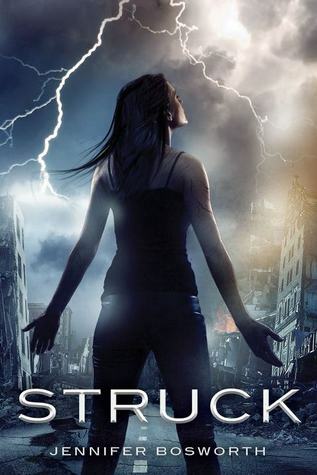 Struck by Jennifer Bosworth - Mia Price is a lightning addict. She’s survived countless strikes, but her craving to connect to the energy in storms endangers her life and the lives of those around her. Doesn't this one sound great? From the eye-catching cover to the premise. I'm excited for this one! 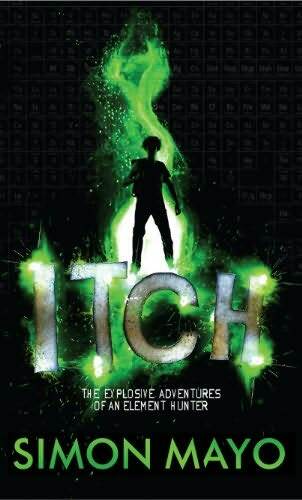 Itch by Simon Mayo - Meet Itch - an accidental, accident-prone hero. Science is his weapon. Elements are his gadgets. This is Alex Rider with Geek-Power! I heard about this book at the Random House Blogger's Brunch and really loved the sound of it. It came with this pretty green poster of the periodic table! Still no idea who Simon Mayo is, but I like the idea of all the science! Welcome Caller, This is Chloe by Shelley Coriell - Big-hearted Chloe Camden is the queen of her universe until her best friend shreds her reputation and her school counselor axes her junior independent study project. Chloe is forced to take on a meaningful project in order to pass, and so she joins her school's struggling radio station, where the other students don't find her too queenly. Ostracized by her former BFs and struggling with her beloved Grams's mental deterioration, lonely Chloe ends up hosting a call-in show that gets the station much-needed publicity and, in the end, trouble. She also befriends radio techie and loner Duncan Moore, a quiet soul with a romantic heart. On and off the air, Chloe faces her loneliness and helps others find the fun and joy in everyday life. 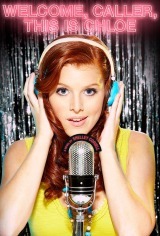 Readers will fall in love with Chloe as she falls in love with the radio station and the misfits who call it home. I've agreed to take part in the blog tour for this book and I'm really looking forward to reading it! 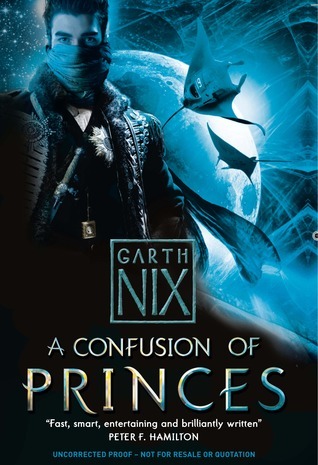 A Confusion of Princes by Garth Nix - You’d think being a privileged Prince in a vast intergalactic Empire would be about as good as it gets. But it isn’t as great as it sounds. For one thing, Princes are always in danger. Their greatest threat? Other Princes. Khemri discovers that the moment he is proclaimed a Prince. Holy crap, would you look at this?! A new YA book from Garth Nix. AHHHH! This one sounds so good, doesn't it? 24 meets The X-Files? How can I resist?! 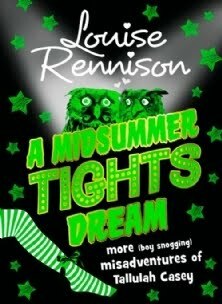 Midsummer Tight's Dream by Louise Rennison - It’s the hotly anticipated sequel to the winner of the Roald Dahl Funny Prize, WITHERING TIGHTS – laugh your tights off as Tallulah Casey and her bonkers mates return for a new term at Dother Hall performing arts college. Boys, snogging and bad acting guaranteed! I was very excited to read the next book in the Talullah series and really enjoyed this book! 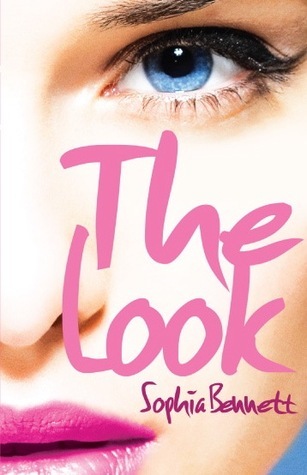 The Look by Sophia Bennett - Ted is fifteen, and...oh yes...tall. When she's spotted by a model agency, she can't believe it. At the same time, Ted's fashionista sister, Ava, is diagnosed with cancer. With her world turned upside down, Ted has a lot of growing up to do, some of it in five-inch platforms. Should she be the model sister for Ava? Life in front of the camera is harder than it looks. And will they still be smiling when it’s over? I've already read and loved this one! Stay tuned soon for the blog tour for this one. Very excited. These are the books that I got last month, what books came into your possession lately? Where should I start? Great intake of books there! Got a few of them myself and really looking forward to reading them! Oh definitely! I was very lucky during February :) Happy reading to you. Yeah, I really enjoyed The Look! And I'm so looking forward to Unravelling.. I've already read Heart Shaped Bruise and Bunheads, they were both wonderful! As was The Look. I always feel a little bad when I fall behind in a series like the Andrea Cremer one, but hoping to get on track soon..
wow you have had a good week! Unravelling does look great. I have that on my TBR pile too. Lots of love for Unravelling, I see :) Happy reading to you as well. It was really good, really reminded me of ballet books I read as a child.. Was very happy-making reading something modern and balletish. I love the Swan Kingdom, I need to reread that one for sure one of these days. I really loved Shadows on the Moon, but haven't read Swan Kingdom or Daughter of the Flames as yet. Really looking forward to both. I'm sure that it won't be long at all until I read Swan Kingdom! And the Cathy Hopkins books DO sound good, don't they? I figured £4 for the three books in Smiths was too good of a deal to pass up on.. So many good things I've heard about this book. It's being immediately moved to the top of my pile! What a nice looking haul! I will have to look some of these boos up, they sound good!